One of the conundrums we face as moms is, uh, well, time. I don’t think it matters how old your kids are, or how many you have, but I can tell you for sure that when you have a couple young kids at home full-time, it’s hard to get anything done efficiently, and you never have as much time as you think you will to make healthy meals from scratch. Which leads to another conundrum – that of having to go for cheaper, less healthy alternatives, or more expensive, but still healthy choices. Neither one of those options is very attractive, unless you have either unlimited funds, or health doesn’t matter to you, but let’s be honest, not very many of us can claim either of those things. But… What if, with a little practice, you could still make those healthy, cost-effective meals from scratch – but quicker? Because you totally can – even with one baby on your hip, and another wrapped around your foot – not that any of us have ever done that, right? Some of the things I’m going to recommend require an investment, because like it or not, wherever there’s give, there’s always a little take. I like to make a lot of chicken and stir-fry, because it’s fast, healthy, and cheap. Easily the most time consuming part of the meal is cutting chicken into 1/4 inch strips. the solution? Do it ahead of time. Buy a WHOLE big carton of boneless, skinless chicken breast (because buying in large quantities is cheaper anyway), cut it into strips, flash freeze it on a parchment-lined cookie sheet or three, then store it in zip-lock baggies in your freezer. That way, whenever you’re ready for your meal, you can grab however much you need, and do a quick thaw, without even getting your hands dirty. 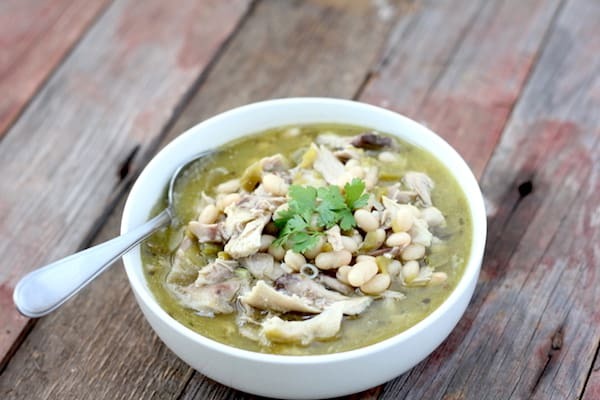 I don’t like to pre-cook chicken, because I think it tastes funny leftover (is that just me? ), but hamburger is completely different. Buy a whole roll of hamburger, brown and drain all of it, then freeze it like you did the chicken. Now it’s ready for impromptu tacos, and casserole making. I also find myself using freeze-dried beef from Thrive Life whenever I run out of frozen ground beef. We moms may be trying to limit our carbs, but the same can’t be said for our kids. Every family meals needs a dose of carbs, and is it just me, or are they actually the most labor-intensive food you put on their plates? There’s peeling, chopping and/or long cooking times for almost all of them. BUT the instant pot brings the cook time for brown rice down from 45 minutes, to 12. TWELVE minutes. add some rice to your chicken and stir-fry and BAM. Full meal. It IS an investment, but as much as we use it for rice, as well as beans, soup, slow cooking, and everything else, it’s totally paid off. While you can cook rice and potatoes quickly in your instant pot, sometimes you need to go even faster – and let’s face it, even with Amazon Prime, you may not have an Instant Pot handy right away. So as much as I try to use fresh ingredients, Dried potatoes are cheap, and instant rice is handy for emergencies. We also keep freeze-dried butternut squash on hand, which is a great snack for toddlers! Don’t put your groceries aways without cutting them up first. Sure under normal circumstances, it doesn’t take long to chop and onion and two zucchini for a simple stir-fry (yes, I’m obsessed with stir-fry right now), but remember that scenario where you have a baby on one hip, and another wrapped round your leg? Yeah, it takes longer then. So get some veggies prepped. 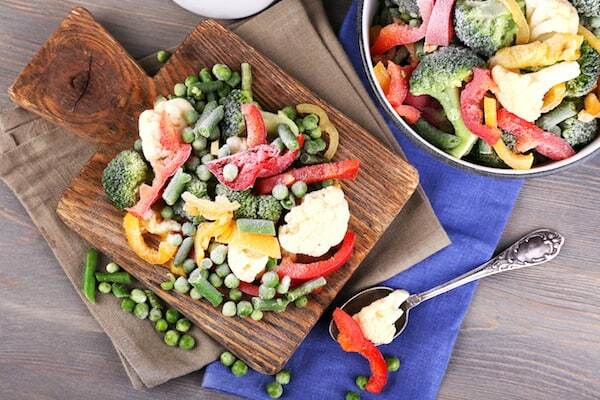 I say it a lot, but frozen veggies are a mom’s best friend. They’re already cut and washed, all you need to do is drop them in a steamer, and bang! done. But how in the world am I going to find time to prep and freeze all this stuff? Good question. Because the whole point here is to have quick, cheap, healthy meals, right? The only two things that are truly quick and healthy are the Instant pot, and frozen veggies. Everything else takes some time on the front end. Prep during nap time, or after the kids are in bed. Wait until your husband gets home from work, and ask him to take care of the kids while you prep. Have a family prep time. My kids are happy to chop zucchini with their butter knives while I when to work with my actual knife to get food prepped, and we kept at it as long as they kept busy (which was a while!). Though now-a-days, they both insist on using sharp knives, and while they are helpful for real with them (which is a super-positive development! ), I do have to watch them like a hawk, maybe because I’m overprotective, and maybe because they really do need guidance to keep from cutting themselves. A family prep time is especially effective if you can get your husband in on it! I’ve noticed that husbands tend to be more than willing to prep and cook meat (just make sure you prep extra because you know, sampling happens). Hey, Elise thank you for this post! 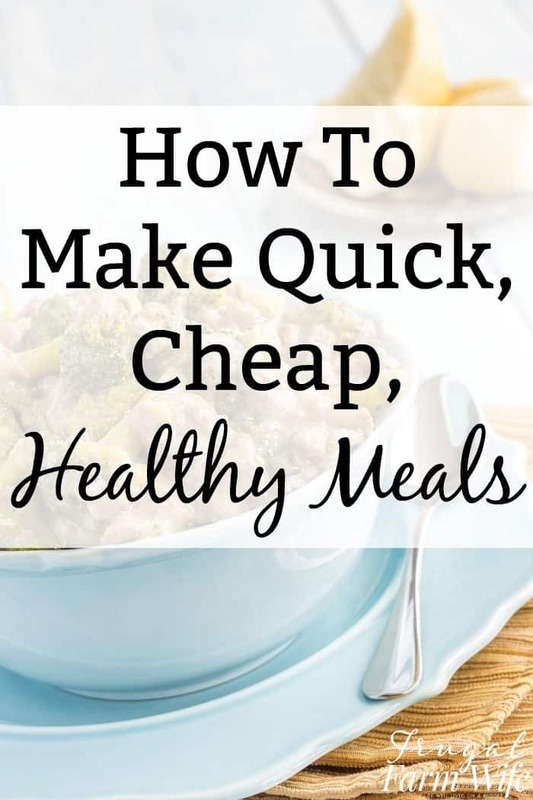 I was looking for tips on how to prepare healthy meals for my kids on a budget!